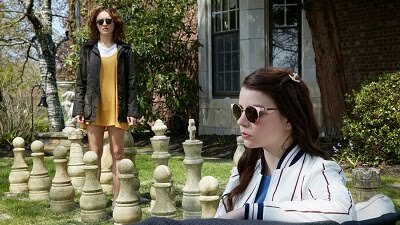 I'm delighted to invite a guest reviewer, my wife, Arielle Friedtanzer, who got the chance to cover a film of particular interest to her at the Slamdance Film Festival. When Movies With Abe gave me the opportunity to see this film, I jumped at the chance! A film about training guide dogs? I’d be crazy to say no! What I did not realize at the time was that in addition to having my first stab at attending a film festival as press, doing my first behind-the-scenes interview, and attending my first red carpet premiere, the film that I was getting to do all this for was not only beautifully made and poignantly crafted, but has the potential to make a difference in our world. Many films are created just for the sake of entertainment or pleasure, but this one captures the attention and the hearts of all who have the pleasure of seeing it, and is sure to leave audiences with a new perspective on the vision impaired community and their canine companions. Spotlighted as the opening night film for Slamdance, a film festival that rose from the ashes of Sundance rejections to become a “showcase for raw and innovative filmmaking - by filmmakers, for filmmakers,” “Pick of the Litter” was certainly a good pick as a touching, informative, entertaining crowd-pleaser. Watching it in a packed house (literally, I was sitting on the floor! ), I realized that we were all aboard a roller coaster of emotions: suspense, excitement, joy, and even sadness. And at the end of the movie, I knew my life was better for having seen it - so much so that I saw it twice in one day! While several parts of the film tugged at the audience’s heartstrings and others were laugh-out-loud hilarious, everyone was engaged throughout the film, a true tribute to the brilliant cinematography, editing, score (by Helen Jane Long, a personal favorite of mine), and direction that went into it. And getting to watch five puppies grow up and embark on their individual journeys is an opportunity I don’t think I’ll ever have in my life, so I am grateful to have felt like I lived it from my seat. And yet, I will likely never know what it feels like to be on this journey, to raise a puppy with the intended purpose of it becoming a guide dog, knowing all the while I will need to give it back despite how attached I become to it; or to imagine the trust that is involved in relying on a well-trained dog to be my eyes in the everyday world. This film gives audiences a glimpse into the world of the visually impaired, the vulnerability and dependence experienced by individuals who are expected to function fully in a world that is insensitive and ignorant to many of their needs. The dangers posed by vision impairment are all around us, and the presence of a guide dog in the life of a blind person offers them independence, dignity, and comfort in knowing they are cared for and protected. These four-legged friends become an extension of their owners, and it is through the meticulous and thoughtful training they undergo - from the moment they’re born through graduation - that allows them to offer the gift of sight, in addition to the love and companionship typical of pets. And speaking of friends, it took just moments sitting with co-directors, Dana Nachman and Don Hardy, Jr., each of whom worked in several other capacities on the film, to feel completely at-home. They immediately made me feel comfortable and welcome as they shared the inspiration behind the film, the impact they hoped it would have on audiences, and the insight they intended to bring to those within the guide dog community. This 81-minute sure crowd-pleaser, whittled down from around 300 hours of footage from 120 days of shooting, was intended for documentary and dog lovers alike, people with disabilities to families with children, and everyone in between. “I want people to not just think of it as a cute dog movie,” Nachman said. 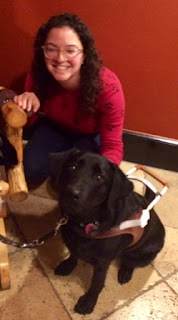 “I think there’s a lot of heft to it; it’s a people movie as much as it’s a dog movie.” Nachman and Hardy, Jr. hoped that their creation would be eye-opening for those involved in raising guide dogs, offering them a glimpse into the parts of the training they were not involved with, and Rebecca, one of the film’s veteran puppy raisers (raising eight guide dogs over the last decade) confirmed they had succeeded when, during the Q and A, she expressed her gratitude for getting to see how the puppies she raises are trained to become outstanding guide dogs. Nachman and Hardy, Jr. also wanted to educate sighted individuals of all ages, as they believe many of us could benefit from learning about vision impairment, but their passion and investment in sharing the gift of this film did not stop at the screen. These thoughtful and inclusive directors also premiered the film with the use of ActiVew, a software that allows vision impaired individuals to experience a film through audio descriptions of what is on screen.